Just getting started-- books with color photos, organized by flower color or time of flowering. A limited species list from a state or region. Wildflowers of the Tallgrass Prairie: The Upper Midwest. Second edition. Sylvan T Runkel and Dean M. Roosa. University of Iowa Press. Tallgrass Prairie Wildflowers: a Field Guide. Second edition. Doug Ladd and Frank Oberle. Falcon Press. Prairie Plants of the University of Wisconsin - Madison Arboretum. Theodore S. Cochrane, Kandis Elliot and Claudia Lipke. University of Wisconsin Press. 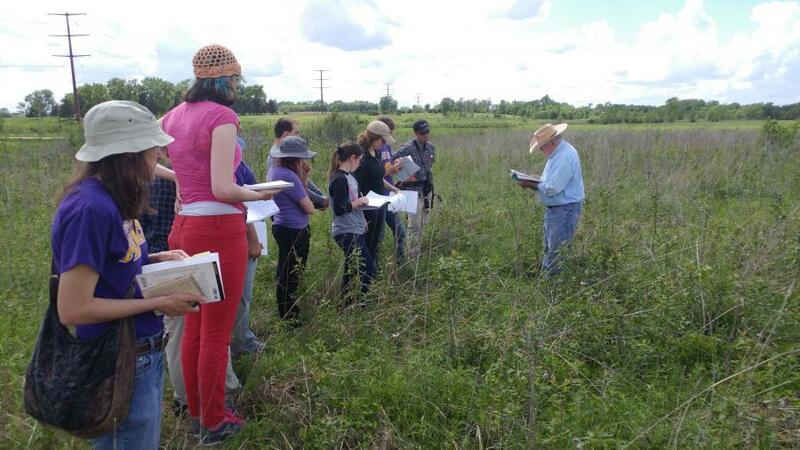 UNI students with Professor Emeritus Daryl Smith, using wildflower guides. These are designed to be used outdoors.